Dr Jozefina Komporaly joined De Montfort University in September 2005. Jozefina’s research interests bring together a focus on British and European theatre and performance, and a preoccupation with translation, adaptation and mise-en-scène. She is a member of DMU's Centre for Adaptations and is currently working on a monograph on radical revivals as adaptation. 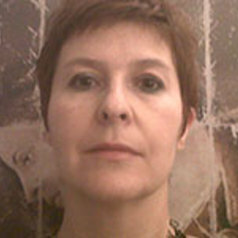 Her research interests include the role of translation, adaptation and dramaturgy in intercultural and trans-national performance, and she is the editor an co-translator of the first English language collection of plays by internationally celebrated Francophone playwright, Matei Visniec (Seagull Books, forthcoming 2014).